From 1981, her married name became Weemaels. [S6739] David Weemaels, "re: Weemaels Family," e-mail message to Darryl Roger LUNDY (101053), 30 July 2013. Hereinafter cited as "re: Weemaels Family." Eleanor Roma Roseman is the daughter of Isadore Roseman. She married Hon. Francis Charles Allman Latham, son of Charles Latham, 1st Baron Latham and Maya Helen Allman, in August 1944. She and Hon. Francis Charles Allman Latham were divorced in 1950. From August 1944, her married name became Latham. 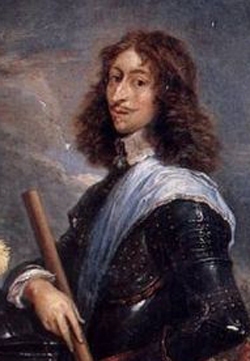 Louis II de Bourbon-Condé, Prince de Condé was born in 1621. 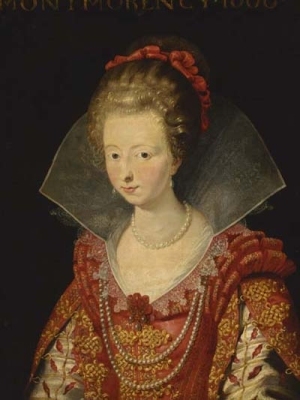 He was the son of Henri II de Bourbon-Condé, Prince de Condé and Charlotte de Montmorency. He married Claire-Clemence de Maille-Breze in 1643 at Paris, FranceG.1 He died in 1686.